I have tried the Heaven and Earth Palette also by MUA Professional and have stated that it was an Urban Decay Naked Palette dupe. I’d say that this is more of a dupe in colours. Some shades are perfect dupes while some are a bit off. 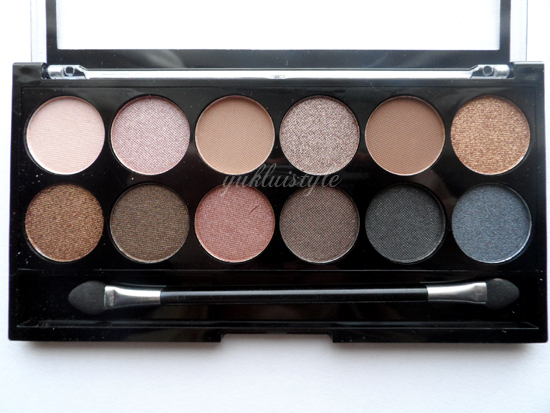 If you can’t afford the naked palette, grab this for £4. Massive budget alert! This palette has a few matte shades whereas the Heaven and Earth palette doesn’t. I remember reading some comments saying that MUA would release a neutral palette with some matte shades. Well this is the one! This is easy to use and perfect for novice. 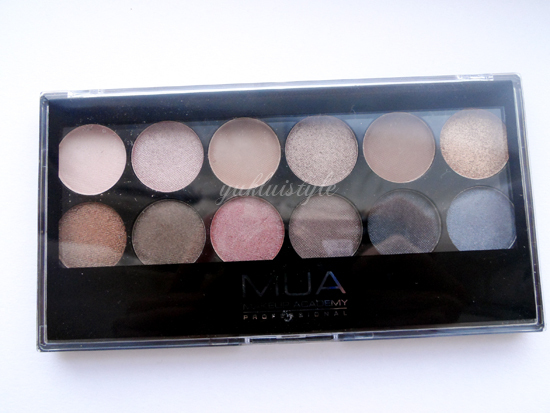 If you loved the Heaven and Earth palette, go purchase this. The quality is the same, soft. With one swipe, you get great pigmentation. Some shades, you require 2 but it’s not much of a problem. Most of them applied smoothly and with ease, except for one. But all blendable. You can easily create a day to night look with this. The last 2 shades on the bottom row can easily transform any look to a night look. This lasted all day on my oily lids with and without a primer and didn’t smudge when I blotted. Yes, I do blot my eyelids. You can travel this with you as it’ll give you a variety of shades to choose and work from. I would repurchase this. I haven’t even hit pan on my other palette and I’ve had it for over a year. This make me try to get this palette. 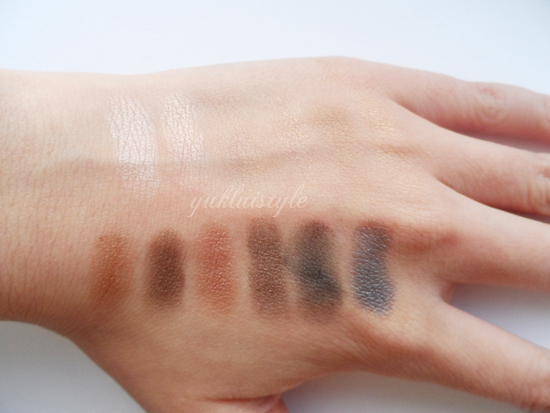 Swatches looks nice. How about longlasting?